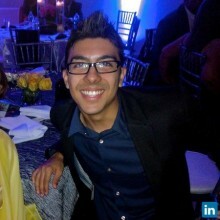 Jaime Rodríguez is an Advisory Associate at Kevane Grant Thornton, a full-service accounting firm based in San Juan, Puerto Rico also ranked as the 3rd among the largest CPA firms in Puerto Rico according to the Caribbean Business Book of Lists of 2014 and member of the Grant Thornton International network. BusinessBecause, LTD is an online social media company providing marketing, communications and careers services to business schools and corporate recruiters around the world. Strategically developed positioning and communication marketing efforts. Targeted technical assistance and capacitation to users. Executed numerous tests to ensure optimum platform’s performance. Assisted during the launch of a “sister” website focused in the engineering discipline. Researched and published articles directed towards an international audience. Managed data collection projects by meeting paper and electronic mailing deadlines, entering data, and transcribing handwritten notes; frequent use of technology to do these tasks more efficiently. Produced written, tabular and visual materials for research reports and presentations. Ensured that research was conducted to an agreed protocol (or proposal) in collaboration with supervisor. Thoroughly analyzed extensive statistical and qualitative data. Involved often in team work helping colleagues develop further their projects. Accurately identified, verified and recorded all accessed information sources using proper citing and references guidelines. Professionally presented information, reports and recommendations to a variety of audiences both in English and Spanish. Investigated and documented key data and information at the request of research advisor without direct supervision. About the outcome: My research was centered on the 2002 Sarbanes-Oxley Act (SOX) also known as the 'Public Company Accounting Reform and Investor Protection Act'. The main objectives of the research were to: 1) Emphasize on the legal gaps of SOX from the perspectives of various scholars, executives and entrepreneurs. 2) Abound on contemporary issues related to “creative accounting” or the manipulation of financial statements. 3) Exhibit the possibility of implementing a better regulatory system incorporating rational and executable socioeconomic perspectives. Obtained an outstanding evaluation during thesis/research defense presentation. Engaged action at the White House through petition to: "Stop the sale of the Luis Muñoz Marín airport in Puerto Rico to mexican interests."